Our professional paper shredding services provide a fast and convenient way to safely destroy confidential information. At A1 DATASHRED, we offer next-day appointments five days a week for residents and businesses throughout the Lexington MA area. Ready to shred? Book your appointment today. We value your time, which is why we offer our services Monday through Friday. With our next-day document destruction, you never have to wait for secure paper shredding. Simply give us a call and a friendly member of our team will walk you through your options, provide an honest quote, and set you up with the most convenient on-site appointment based on your schedule. We bring paper shredding services directly to your Lexington MA location. Our top-quality paper destruction trucks destroy 6,000 pounds of paper per hour, so no job is too big for our team. For enhanced security, we place all documents in a secured and locked disposal bin for the short distance from your home or business to the truck, which is parked on site. The units are also designed to remove the material directly from the bin to the shredding equipment for immediate document destruction, and each vehicle is equipped with security cameras so you can watch your papers being destroyed. Whether you’re a small business or large corporation, a large portion of commercial documentation requires professional shredding to meet local, state, and federal privacy laws. Our business shredding services ensure you’re able to keep customer and employee information safe and sound. They’re also customizable to your unique needs. One-Time Shredding – Our on-demand shredding service allows you to eliminate business records whenever you need to. Companies have the opportunity to utilize this option as frequently as needed basis on their document output. Call us when you’re ready, and our team will handle all of your next-day paper shredding needs. Scheduled Shredding – If shredding is a regular need for your business, our scheduled shredding plan provides the utmost convenience. We’ll work with you to find a business shredding frequency that matches your company’s use, such as bi-weekly or monthly. For this program, we even provide the added advantage of free security containers that stay in your office for easy ongoing disposal. Then we come to your office as scheduled to shred the contents of each container. Identity theft is a serious concern for many residents across the Greater Lexington MA area. We can help you avoid such a dangerous situation thanks to our secure paper shredding services. With our residential document destruction, we bring the service directly to you. Our team will securely transfer your personal papers into one of our security bins to be destroyed by our state-of-the-art shredding trucks within view of your front door. This service provides both personal security and convenience. Even with a full system wipe, hard drives harbor sensitive information. If such a tool finds its way into the wrong hands, it puts both businesses and residents in danger of a data security breach. Our on-site hard drive destruction service eliminates the risk by completely destroying the hard drive. Our highly-trained team is composed of responsible, qualified individuals that you can trust. All staff members must pass annual background checks as well as a drug test upon hire and throughout the year. Along with continuous training, they’re also required to sign a confidentiality agreement to ensure the privacy of our clients. Don’t put your privacy at risk with just any shredding company.  A1 DATASHRED is proud to be an AAA Certified company. This accolade is awarded by The National Association of Information Destruction to document destruction companies with a proven track record for secure operations. Our team is skillfully trained in the most up-to-date shredding procedures, and we only utilize the highest-quality, secure tools and equipment on the market. Protecting private information doesn’t have to harm the environment. On the contrary, our eco-friendly document shredding services have zero impact on the landfill because we recycle all waste. In fact, we save 17 trees for every ton of document destruction thanks to our commitment to sustainability. Go green today by choosing A1 DATASHRED for your residential and business shredding needs. Contact our team today to get an immediate quote and schedule your on-site paper shredding appointment right away.